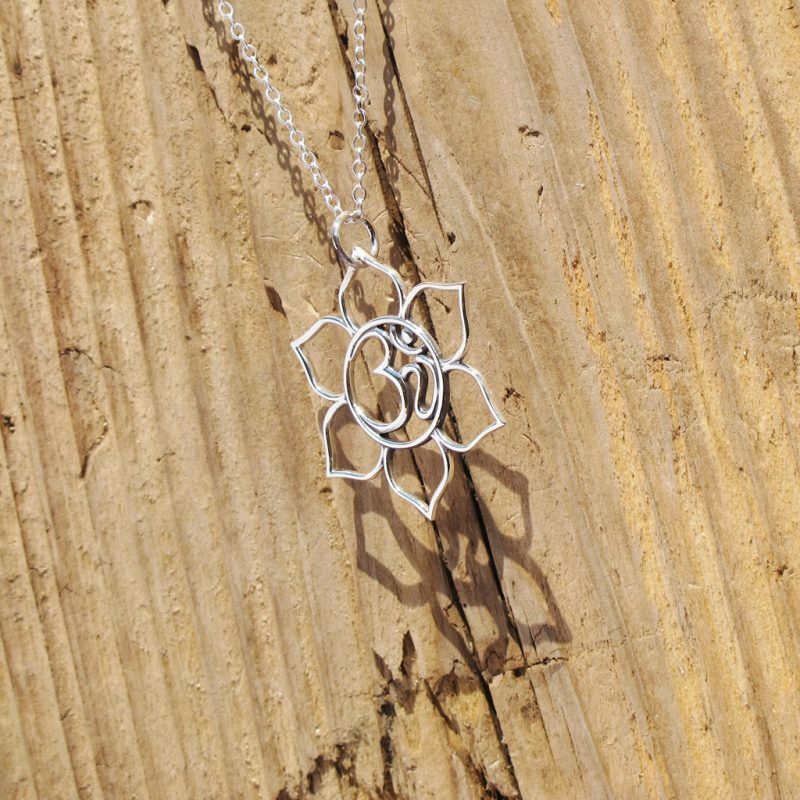 Large Sterling Silver Lotus pendant with Ohm Center. 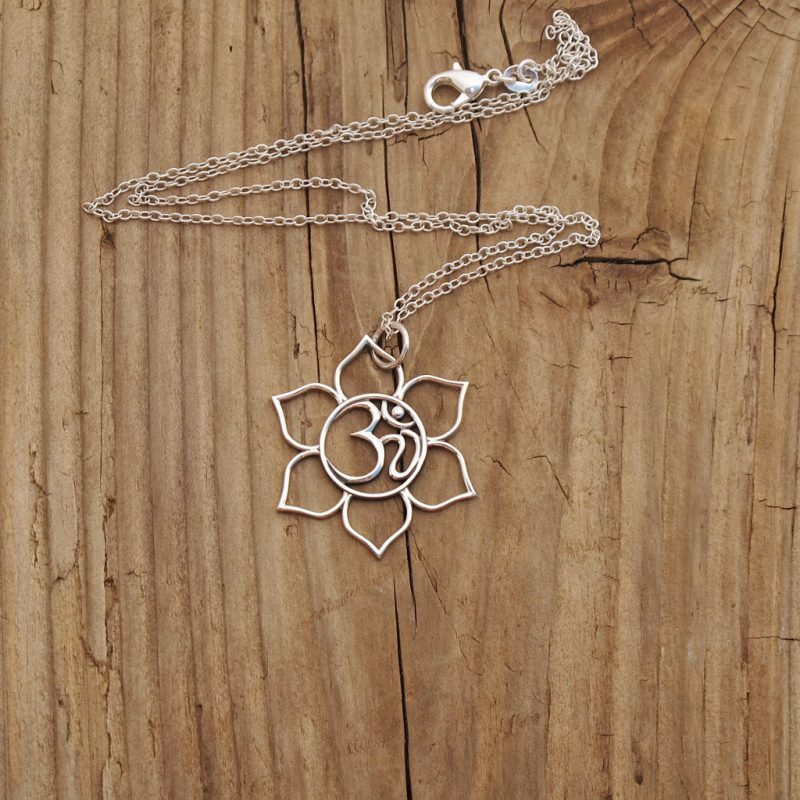 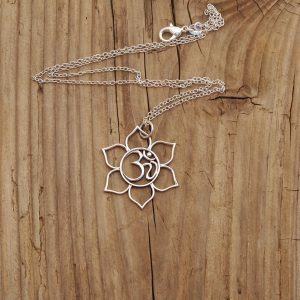 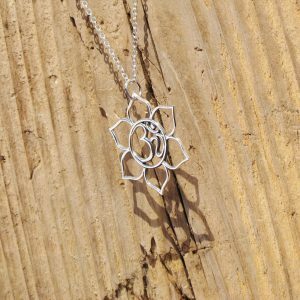 This beautiful open work charm combines the graceful petals of the lotus flower and the flowing script of Ohm in the center, the lotus flower is known to be associated with purity, spiritual awakening and faithfulness, Ohm is a holy meditation symbol of Hinduism and Buddhism with a profusion of meanings. 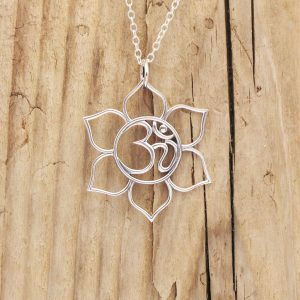 In modern usage Ohm means the Word, the parnava, the eternal and divine. 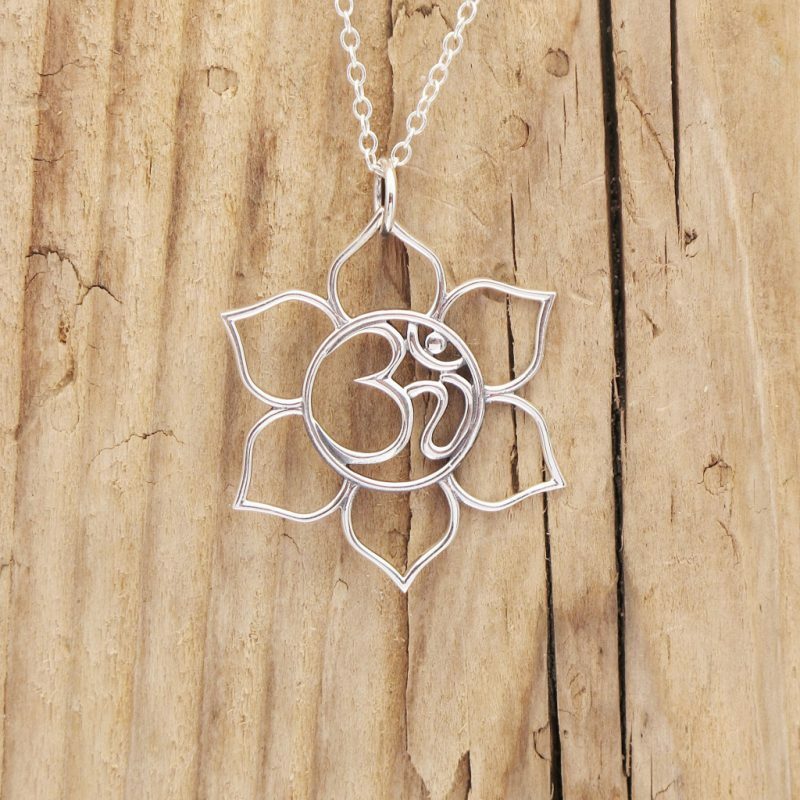 Ohm is also said to be the term of assent used by the gods and the name given by the Hindus to the spiritual sun.